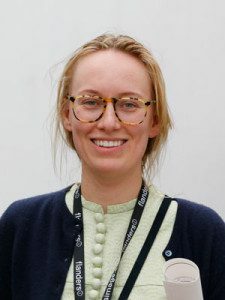 Daisy Jacobs from Gosport, Hampshire was awarded a BAFTA scholarship of £9,800 for the MA Directing Animation course at the National Film and Television School. This includes her graduation film The Bigger Picture, which was selected for this year’s Cannes Film Festival. Her film was one of only 16 from 1,631 entries worldwide and won joint 3rd Place at Cannes‘ Cinefonation competition. Daisy completed her first degree at Central Saint Martins College of Art and Design. What difference has the BAFTA scholarship made to your life? Financially it has made a considerable difference, but the biggest difference came from the pairing with my BAFTA allocated mentor, Tristan Oliver. He was an enormous support throughout the making of my MA film, The Bigger Picture, and continues to be equally supportive and a real friend. What was it that first got you interested in animation? I wanted to see my illustrations move. Once you’ve created movement in your imagined world, you can’t go back. It is utterly exhilarating. Your style is very distinctive. Please can you tell us a bit about what influenced this and which animators inspire you most? I think style is something like handwriting – completely unique and it just comes out. I’ve been influenced by all sorts over the years, but always find illustrators and painters particularly interesting. David Hockney’s work is amazing; his sense of colour is genius. I admire the work of Osbert Parker, animation director, who uses the technique of stop-motion animation in a very innovative way. What is the premise of The Bigger Picture? It asks the audience: what should we do when our parents get old and need care? It is a very emotive subject for lots of people and taps into our feelings of guilt. I also wanted the film to remind us of our own mortality and human fallibility; no-one is perfect, and we’re all going to die. Can you briefly describe the process you went through to bring it to life? A broken nose, an exploding TV, one near-crushed hand, innumerable sobbing fits – and that’s just the rest of the team’s experience. In all, I spent a year developing the life-sized technique, four months creating the script / storyboard / designs, five months animating, and another two months in post (music, sound, editing, etc.). It was the hardest thing I’ve ever done, but, above all, it was immense fun. When we left the huge space where we had been animating, I felt overwhelmed that we had stopped and I wouldn’t be there the next day, squirting out paints. You beat off competition from another 1600 or so entries from around the world to get your graduation film screened during the Cannes Film Festival. How did this make you feel? When you are passionate about something, you naturally want to be the best and you push yourself to your limits – and this has a knock-on effect of actually making you better. I am a competitive person, but I believe in fairness and merited reward. I have been pushing myself for seven years to get to the point of making this film. I have spent two whole summers of my life in a black airless box, animating. When I was selected for Cannes, I felt it was fair. How important are the connections you make and the networks you build whilst you are studying? Invaluable. The team I worked with on The Bigger Picture will be working on my next film. They are a great bunch of people and all very talented. How does BAFTA give the UK the cutting edge in nurturing new talent in the global film and television industry? BAFTA has a range of initiatives that provide support and create networking opportunities. The BAFTA Scholarship Programme has given me the chance to make vital professional contacts, and BAFTA has been absolutely fantastic in supporting my film-making. As well as financial support, the scholarship has a really successful mentorship aspect to it and candidates also have access to various events such as masterclasses given by industry professionals as well as numerous networking events. My BAFTA mentor, Tristan Oliver, has met me often and became a great inspiration to me and my work, allowing me to think much bigger and more ambitiously. He is a person I admire deeply and a great mentor in every respect. All the BAFTA events I have attended have been very enjoyable, although the pre-screening of the BAFTA-nominated live-action and animation shorts was particularly inspiring. These aspects to the BAFTA scholarships are invaluable. They work very hard to make the industry more accessible and dispel the myth that young people shouldn’t pursue a career in television, film or games. I really hope that people with talent do go for it despite their background. 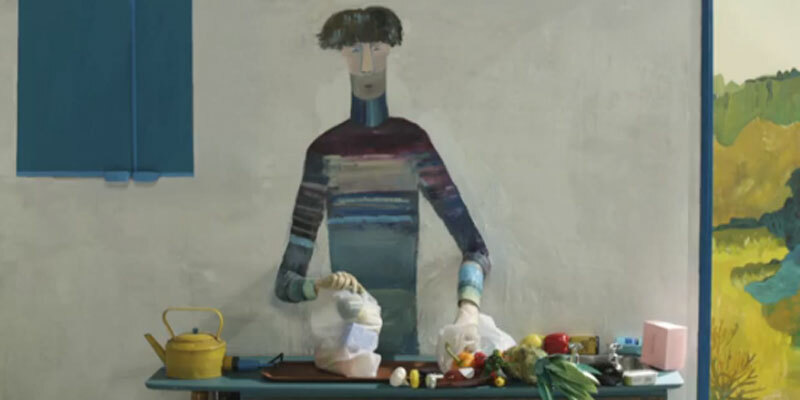 Daisy Jacobs received a BAFTA Scholarship to study an MA in Directing Animation. Daisy was one of six recipients selected by a panel of BAFTA committee members following an open call to students accepted on eligible UK courses. Each recipient receives a scholarship to cover their course fees for a year, mentoring support from BAFTA members, and free access to BAFTA events around the UK. In return, the scholarship recipients share their learning experiences on the BAFTA Guru website and participate in future BAFTA outreach to schools. BAFTA is currently accepting scholarship applications for a range of courses across the UK at: http://bit.ly/BAFTAScholarships. The deadline for entry is Monday 16th June 2014.